We've been making ripper downhill bikes for pint-sized kids for years now, and we put as much energy and thought into their design as we do our adult bikes. The Stinky 2-4 is a wonderful example of our commitment to making great bikes for every kind of rider. You've got a nine to twelve year old who loves the bike park? A mini-shredder who can't get enough of your gnarly backyard descents? Well, set them free, great parent. 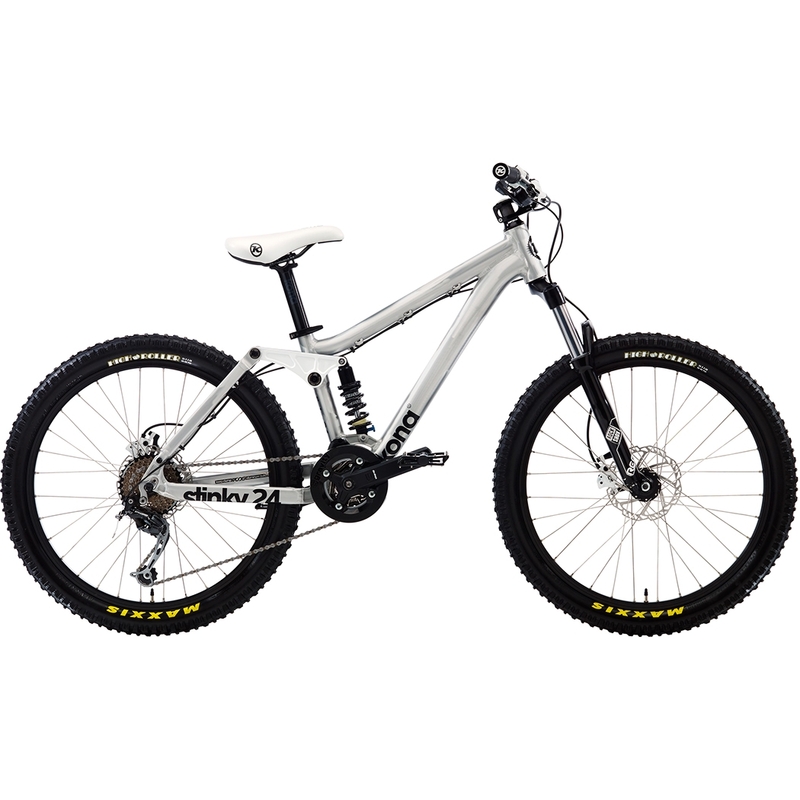 Outfit the little shredders with the best kid-purposed dual suspension mountain bike on the market. A new RockShox Recon 100mm fork with 20mm axle, plush rear travel, flat-resistant tires, disc brakes with levers designed for smaller hands and a smoking paint and graphics job that brings nothing but big smiles.